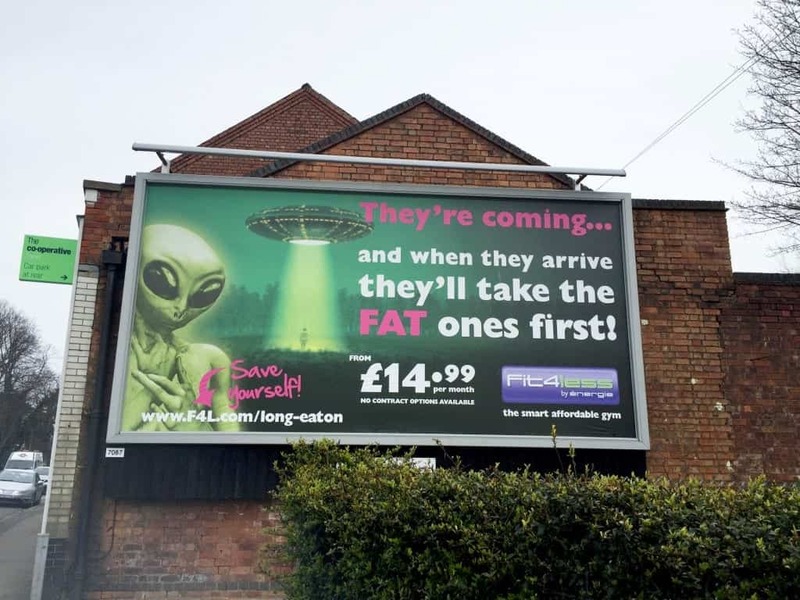 A national gym chain has been blasted for threatening fat people with alien abduction. 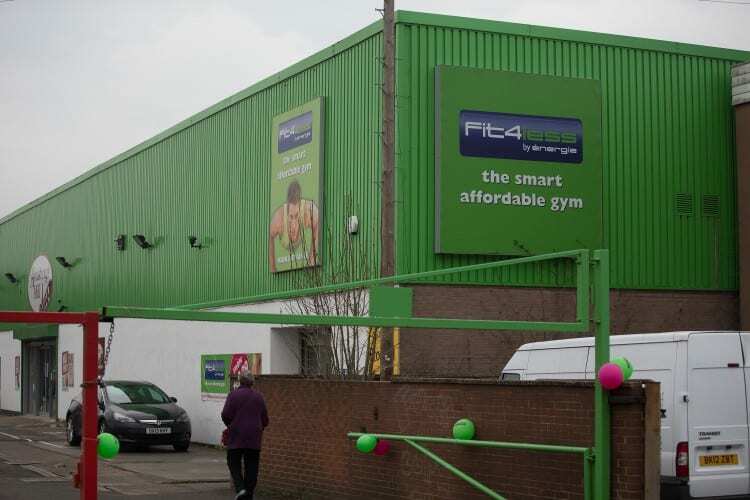 A controversial 20ft-hight poster was erected in Derbyshire by Fit4Less showing a green alien and a person being beamed up by a green light into a spaceship. It also says “Save yourself!” next to an arrow pointing to the gym’s website. Parliamentary advisory Natalie Harvey, 39, who founded Nottinghamshire charity Combat Bullying, has slammed the campaign for “fat-shaming”. But the gym defended the billboard saying they wanted to take a “lighthearted approach” to their advertising. Jan Spaticchia, the chief executive of the gym’s parent company Energie Group, said: “The aliens campaign is actually very successful. “We aim to get people talking and promote the notion of a healthy lifestyle. We don’t take ourselves too seriously. I’m a 45-year-old man who is 17.5 stone and proud of it but I’m healthy with it. “There is such a thing as being overweight and healthy, not everyone has to be skinny. We certainly didn’t mean to cause offence and we care about the relationships that we build with the communities that we serve. Previous PostIs Technology Eroding Quality Family Time? Next PostSummer must have: Probably the best sleeping bag ever?